Trade shows, publications, company websites, classifieds, networking events – these are tried and tested ways to bring, engage and promote products to the industry. However, in this fast-paced life, customers may need answers instantaneously and have less time to comb through mountains of data in various channels. 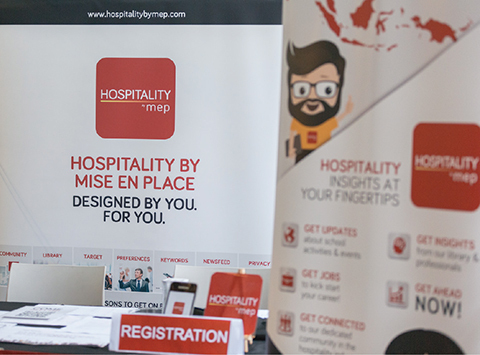 There is a need to advance the way we engage with industry peers and undeniably, digitalisation is the way forwards with HOSPITALITY by MISE EN PLACE (HMEP). 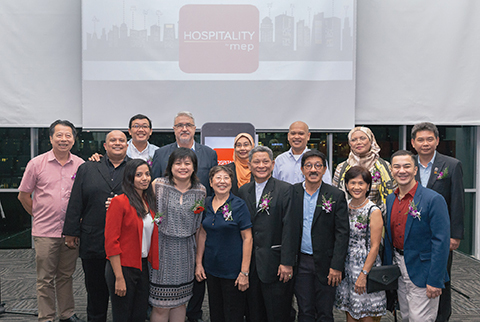 HMEP was unveiled on September 18, 2016 at Taylor’s University Lakeside campus to about 250 key industry players, celebrity chefs, relevant hospitality associations and traders. The innovation is one that is welcomed and wholly backed by industry professionals. In his opening speech Sam Cheah, President of the Malaysian Association of Hotels, applauded the move by HMEP, agreeing the initiative is in line with the intent of Mise En Place magazine that has always focused on operational and management needs and HMEP has the ability to grow in tandem with the industry. Other distinguished guests who graced the launch included Hisham Tan, President of Malaysian Food & Beverage Executives Association, Bob Kamaruddin, President of the Professional Culinarie Association, Chef Khairuddin Kamaruddin, President of Chef Association of Malaysia (2016) and Chef KK Yau, representing World Association of Chef Societies. HMEP also extends its heartiest appreciation to Pn Siti Ramadhaniatun Ismail, Deputy Dean of Taylor’s University Faculty of Hospitality, Food and Leisure Management for her partnership in ensuring the event was a success. 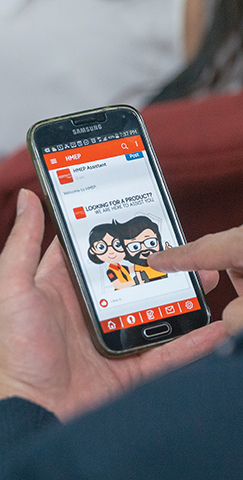 HMEP is a mobile app, designed for the community where all content is filtered to be as relevant as possible to the industry. Fellow industry peers are able to communicate more frequently with each other using this platform to keep themselves up-to-date and to share opinions. With HMEP, users can access education on-the-go right on their mobile devices through the library where learning institutions and professional bodies share information, tips, tools and more. 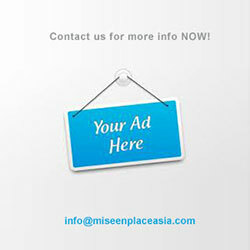 The app also provides a new dimension in searching for the right people. Simply enter a keyword and voila, a list of tailored results will appear! Surely beats combing through directories! From conception to fruition, the HMEP development took nearly 2 years. 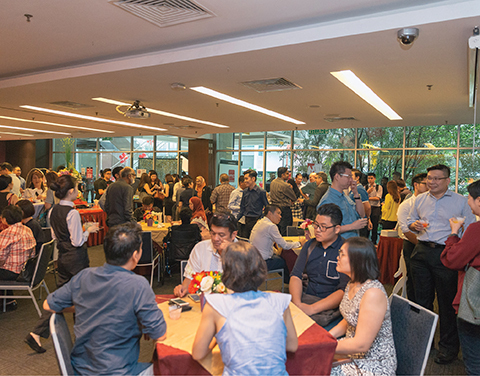 The vision of HMEP was shared by Rick Chee, one of the industry’s notable figures in the area of Consultation and Project Management who was instrumental in mentoring the HMEP team. With his experience in working with industry professionals, particularly end users, his wealth of insights gave the team a guideline on designing the app in the most accessible format. In an age where new mobile apps are competing for attention (and space) in mobile devices, it was vital that the team knew what it wanted the app to be for its users. It is a key balancing act between providing comprehensive information to users in bite-sized formats and not overloading them with unnecessary data. There is a personalised touch to the app where users are able to select to view only the information of interest to them. “The features we have built to date is something we would encourage all professional bodies to leverage upon. 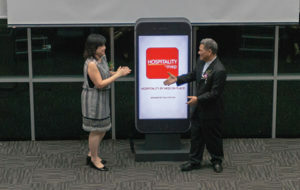 Our focus is to ensure quality content that is continuously updated in the mobile library, sharing of real life experiences and putting you in touch with many industry leaders and suppliers” explains Katty Lai, Managing Director of Ink On Paper Media (the holding company for HMEP and Mise En Place magazine). 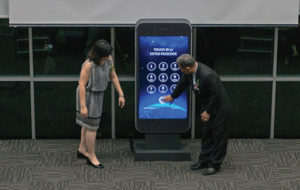 What is a mobile app launch if guests are not able to experience it in real-time? 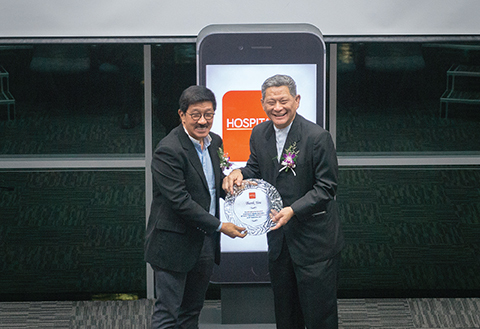 At the same moment where Sam Cheah officially pushed the buttons on an electronically configured large-sized mobile, personal devices in the hall began to beep, signaling that HMEP was ready to be experienced! The future is bright for the app as it would be utilised in the bigger scheme of things – possible collaborations with trade shows and ‘live’ streams of events from a different country. The possibilities in the digital sphere is indeed vast and HMEP is paving the way for the hospitality industry to work more efficiently and effectively. To close the launch ceremony, Rick Chee, on behalf of HMEP presented appreciation gifts to the distinguished guests for their time and support. 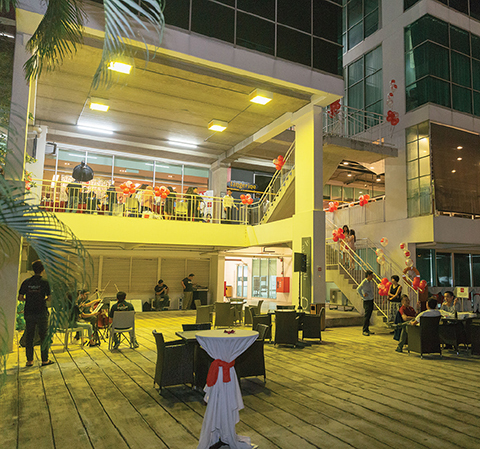 The night continued with dinner prepared by the Taylor’s Faculty of Hospitality, Food & Leisure Management as guests mingled and caught up with each other. To complement the ambience of a casual evening, guests also had fun donning props and having their photos taken at the photo booth whilst a ‘live’ instrumental band was on-hand to bring a musical atmosphere to the event. 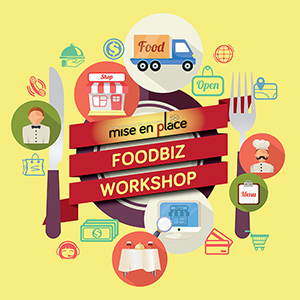 Indeed, HMEP is built on innovation and follows in the company’s track of doing the unconventional from the beginnings of Mise En Place. “The magazine’s direction to only focus on the commercial kitchen equipment environment together with F&B business caught many by surprise. It took time but the industry warmed up and became very receptive. We had great support from all over and we hope that HMEP is received in the same way and we are positive it will make more impact, given the technologydriven era that we live in today”, added Katty Lai.